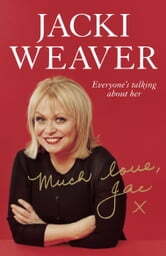 Dubbed a National Treasure by Gough Whitlam, a Gay Icon by Les McDonald and a Household Name by the Sydney Morning Herald ('so is Sorbent,' her unimpressed mother remarked), Jacki Weaver has combined a distinguished acting career with a tumultuous personal life. A self-confessed bolter and adventuress, with five marriages under her tiny belt, there have been times of great wealth (most notably during her marriage to Derryn Hinch) and times of scraping along. There have always been headlines galore, and occasionally heartbreak. 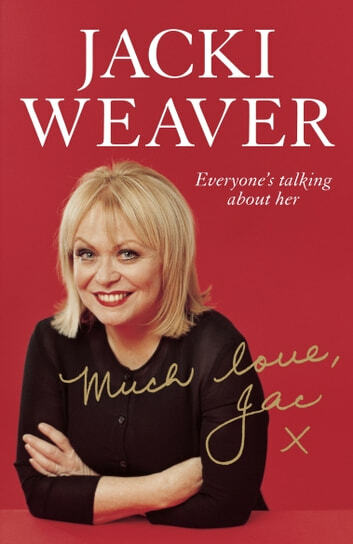 Jacki's career has spanned more than forty fabulous years of theatre, film, television and music. Jacki is the recipient of multiple Australian awards and more recently for her performance in Animal Kingdom she has received many US film critics' association nominations, including for the Golden Globes, USA. She won the Best Supporting Actress award in the Los Angeles Film Critics Association Awards as well as in the National Board of Review Awards. In January 2011 she was nominated for Best Actress in a Supporting Role in the Academy Awards. Much Love, Jac is the extraordinary story of a talented actor who has lived her life to the very fullest. Fascinating, funny and poignant, this is storytelling at its best.